COLUMN-Commentary: Can Ramaphosa Solve South Africa’s Land-Grab Problem? SOUTH AFRICA (REUTERS) - Under the leadership of the recently ousted President Jacob Zuma, South Africans endured a decade of economic decline, political uncertainty, and an increasingly rancorous and racially charged public discourse. But the “new dawn” proclaimed by his genial successor, Cyril Ramaphosa, has a thunderous cloud hanging over it. The ruling African National Congress’s decision to replace Zuma with Ramaphosa last December was met with palpable relief, even among opposition leaders. It’s revitalized the ANC and reduced support for the liberal Democratic Alliance (DA) – which polled 24 percent in 2016 – by around five percentage points. 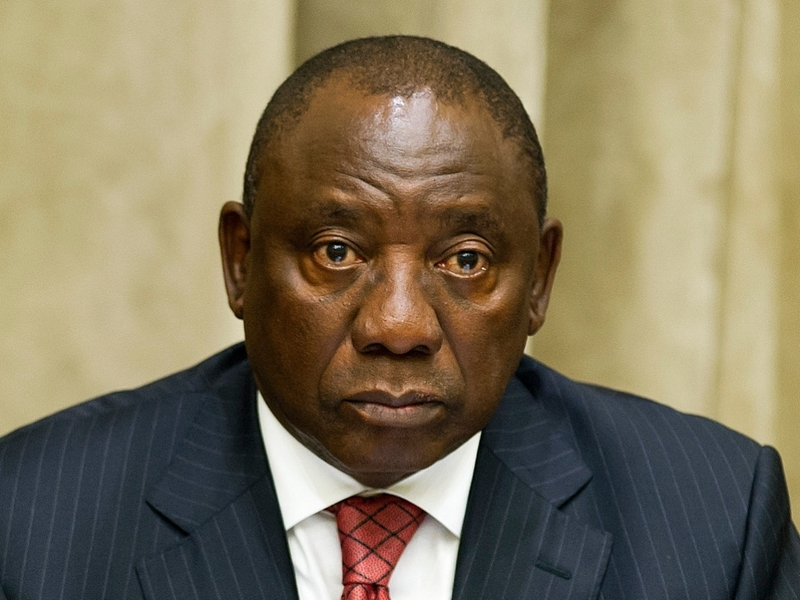 As a former trade union leader who, during the negotiations for the 1994 democratic settlement built a legendary reputation as negotiator and deal-maker, Ramaphosa comprehends the ramifications of such a controversial move in a racially fraught country. As a very wealthy businessman, he is also aware of the potential for it negatively to affect investment and economic growth in a land where more than 50 percent of youths in the volatile 15-24 age group are unemployed. Ramaphosa is captive also to the ANC’s almost pathological fear of being outflanked on the left, in this case by the populist EFF, which wants all private land to be owned by the state, as well as the nationalization without compensation of mines and banking. It is the tiny EFF, with 6 percent of the vote, which made the running on the issue and immediately tabled a parliamentary motion, now perforce supported by the ANC and carried by 241 votes to 81, which began the process of amending the Constitution to allow the expropriation. Ramaphosa’s response to his dilemma has been to wax enthusiastically about EWC’s potential to address historic racial injustices that allowed white landowners to dispossess the black majority, while warning sternly that South Africa would not follow the “smash and grab” example of land seizures in neighboring Zimbabwe, which reduced that country to penury and sent some two million refugees fleeing to South Africa. Of the roughly 76,000 successful claims in the post-apartheid restitution process, only about 5,800 chose to have land returned. The remaining 92 percent preferred cash compensation. While whites still own most of South Africa’s land, ownership patterns have changed with the growth of the black middle-class. Although the land register does not specify race, a recent AgriSA analysis of hundreds of thousands of land transactions concludes that blacks own 26.7 percent of agricultural ground and control more than 46 percent of South Africa’s “agricultural potential” – referring to tribal trust and state lands, which amount to about a fifth of the country. In urban areas, where 70 percent of the population lives and where the government housing program has been hugely successful, the proportion of black ownership is higher. On the basis of StatsSA surveys, economist Mike Schussler estimates that blacks own between 52 percent and 60 percent of household land.